Please note: I refer in my video to the savoury variety being called ‘galettes’. 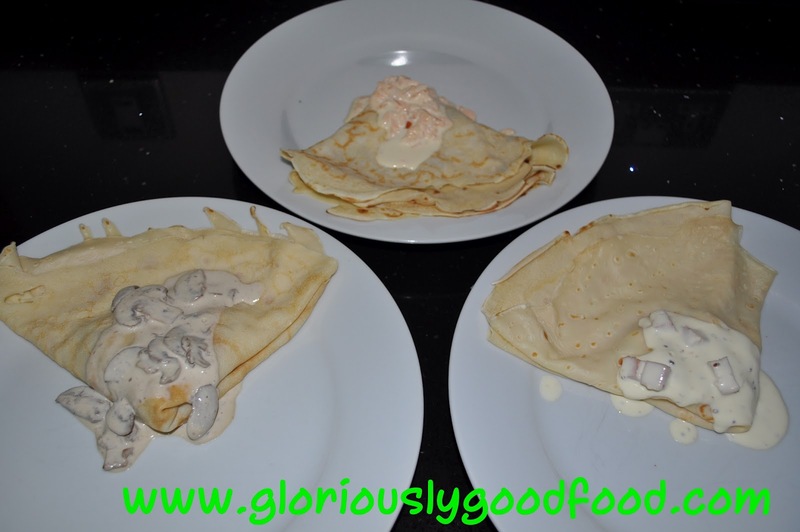 In the true sense of the word, galettes are indeed savoury crêpes, but they are not made with plain white flour. They are made with buckwheat flour. 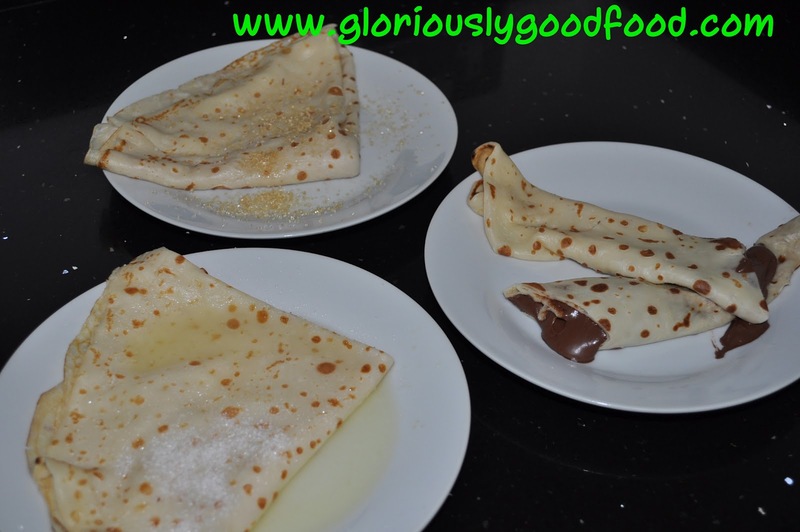 By making just one batter, though, you can easily make savoury and sweet crêpes for the entire family to enjoy. 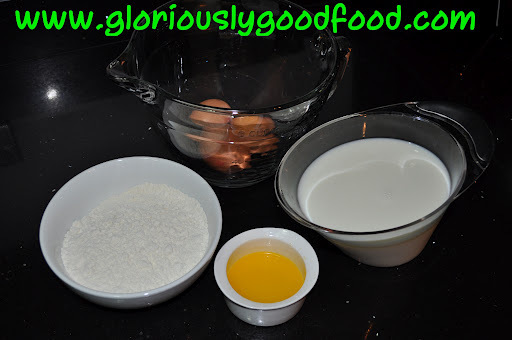 Make the sauces first, then make the pancakes – you can easily reheat the sauces. You can make the pancakes in advance and re-heat them in the microwave…time will vary depending on the strength, but try just 30 seconds to start with, on a med-high setting, on a plate covered with clingfilm. 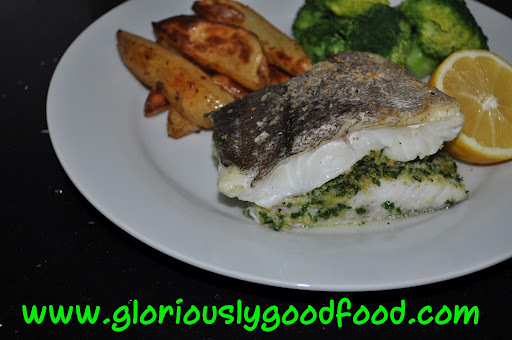 This is a recipe that the whole family can enjoy, and even my husband who won’t eat fish unless it’s battered and even then only if he really has to, found this really tasty. It’s quick & easy to prepare and good for you! Serve with potatoes and vegetables. Tonight, I served it with home-made potato wedges (recipe coming up soon) and steamed broccoli, but you could equally substitute any other vegetable of choice; steamed or boiled new potatoes would also go very well with this dish. Today, she’s made a perfect béchamel sauce (she decided to make a “light” lunch by having pasta with a cheese & chicken sauce, for which she needed a white sauce base as we didn’t have any cream in the house) with minimal supervision/guidance.